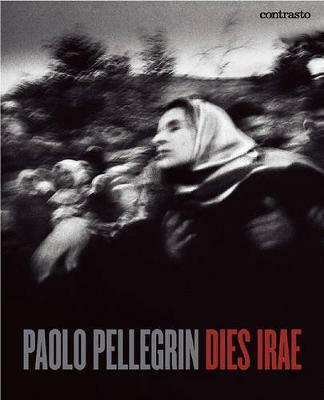 Throughout his career, Paolo Pellegrin received innumerable international prizes and awards that are indicative of how the strength and intelligence of his works can live through time as parts of a greater, coherent, and universal picture. Pellegrin represents a new generation of photographers aware of the modern means of production and distribution of images at their disposal. They offer a new way to look at the facts they document, always maintaining their ethics in the form and methods of their job. Pellegrin always uses a metaphor to speak about his job: photography to him is like a language we wish to learn, an unfamiliar language, perhaps of an unknown stock, whose mystery fascinates and draws us towards it. Little by little the mystery reveals its features, allowing those who work with it (the photographers) to use it as a prop to tell stories. Pellegrin has narrated many of them. At times these stories were harsh, even tragic, and spoke of war, detention, and natural disasters. He approached each and every one of them without judging, following with his eyes what was happening around him in order to interpret it in the light of his extensive experience as a journalist.